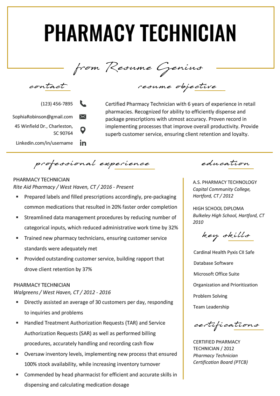 Need help creating a medical assistant resume that’ll wow hiring managers? Check out our downloadable sample and resume writing tips below! Attentive and detail-oriented medical assistant with over 5 years experience. An AAMA Certified Medical Assistant and Phlebotomy Technician (CPT) since 2011, I have experience in both administrative and clinical duties and a true passion for helping people in the health profession. Medical assistants are called on to perform a variety of clinical and patient duties that are crucial to helping doctors see and treat patients in an efficient manner. An effective medical assistant is detail-oriented and organized with strong people skills, as they prepare patients before they see a doctor. The Bureau of Labour Statistics puts the median salary at $30,590 per year, with a much faster than average growth outlook for the next decade. The job outlook for medical assistants (and health professionals in general) is so rosy because the youngest members of the baby boomer generation are now past 50 years of age — and as you can imagine, this has considerable implications for the U.S.’s health industry. The number of Americans aged 65 and older is projected to more than double from 46 million today to over 98 million by 2060, and the 65-and-older age group’s share of the total population will rise to nearly 24 percent from 15 percent. The aging of the baby boom generation could fuel a 75 percent increase in the number of Americans aged 65 and older requiring nursing home care, to about 2.3 million in 2030 from 1.3 million in 2010. In a nutshell, as one of the largest demographic cohorts ages and grows in need of more health care and treatment, the demand for medical assistants and other health professionals will increase as well. 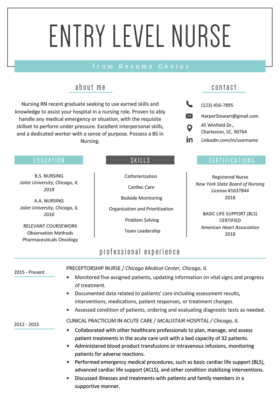 So, how can you create a top-notch medical assistant resume that will put you in front of the competition? Check out the detailed breakdown of each section below. The purpose of the resume objective section is to grab the attention of a potential employer and hit them with the main takeaways that present you as the ideal candidate for the role. Alternatively, you may wish to use a data-driven professional summary, a punchy resume profile, or an achievement-centered summary of qualifications. This is the most punchy, curated part of your resume, like an elevator pitch. If you ended up in an elevator with a doctor you wanted to work with or HR manager of a hospital you wanted to work in, this is what you would want to say to them. Similar to writing an introduction to a term paper in high school or university, you may want to write this section last, as it should be a snapshot of you that is further explained in the more detailed sections that follow. The answer to this question is meant to be less knowledge-based (i.e., “I know how to draw blood”), but more about you as an individual personality (i.e., “I am very well organized and great at calming down people who are distressed”). If you’re still unsure, ask a colleague or a friend who knows you in a professional setting. You might also consider directing this question at people already in the profession or role you are looking to get into (in this case, other medical assistants). This also functions as an excellent question should you find yourself in a networking environment; people generally love talking about themselves, and it gives you a much deeper insight into the kind of personalities and skillsets that are useful in your field. Certifications and training are very important hiring qualifications in health professions because of the many specializations that exist, and because medical malpractice is a particularly sensitive legal liability. Any relevant certifications should be highlighted near the top of your resume as they will immediately qualify (or disqualify) you from the position. Although in some states it is not technically a requirement for medical assistants to be certified, this is likely a case of regulations lagging behind the industry, and the reality is you will most likely be competing against those who are certified. Most organizations require applicants to pass an exam and graduate from an accredited program. However, some organizations, such as AMT, allow students to sit for the RMA examination without a degree or diploma from an accredited institution if they have already gained extensive work experience as a full-time medical assistant; you can find out more here. CPR or BLS are two other certifications you may wish to include. As for other certifications, consider including specific ones that are particularly relevant to the job posting or position you are applying for. For clinical medical assistants, taking blood samples is a central job function, so any phlebotomy certification (CPT or RPT) should be highlighted. CPR or BLS are two other certifications you may wish to include. If you are applying as a medical assistant for a more specialized discipline, such as ophthalmology or podiatry, you’ll want to highlight your niche certifications that qualify you for the position. You’ll want to focus on displaying the core competencies needed for the role, while also indicating your value-add through specific achievements. The idea is not to just show that you can and have done the day-to-day tasks, but to demonstrate a high level of ability that separates you from the pack. Always remember that a potential employer is not reading your resume to see what you can do, but rather to see what you can do for them. Similarly, it is important that you use specifics wherever possible, to give potential employers a better idea of your capacity. Option (a) is very much a “duh” statement…if someone didn’t know what a medical assistant was, you might give that as a broad answer to give them the general idea. But, the person who is going to be hiring you definitely knows what a medical assistant does…so that’s just not going to cut it. Option (b), on the other hand, gives your potential employer an idea of the workload you’ve proven to be capable of and the kind of environment you have experience in. As a general rule, you want to describe your past work experience using action verbs to paint a clearer picture of what exactly you did or currently do. Not only is it more descriptive for your potential employer, but it also gives you a chance to market yourself a little bit more. For an exhaustive list of action verbs that you can use on your resume, check out The Longest Action Verb List In The Universe. Although the minimum requirement for medical assistants is generally a high school diploma or GED, increasingly small practices and hospitals are looking for candidates who have pursued more formal medical assistant education and training; see the certification section above or get more information here. If you have completed the minimum requirement of high school or GED, have not been to college or university, but have a lot of professional working experience, you may want to consider combining Education & Certification as one category instead of separating them as seen on the sample resume above. If you haven’t pursued a diploma or degree, consider beefing up on other certifications and training, and place more emphasis on your professional experience and certifications on your resume. You may not want to list all of these skills on your resume; remember that you want to give your potential employer a clear idea of your best qualifications, not an exhaustive list of everything you can do. However, you might keep these skills in mind for the interview stage of the hiring process. You can also get more information on writing a skills section here. Follow the tips above to craft a top-class medical assistant resume and stand out in a competitive job field. If you haven’t started creating your resume yet, jump over to the resume builder and get started today! 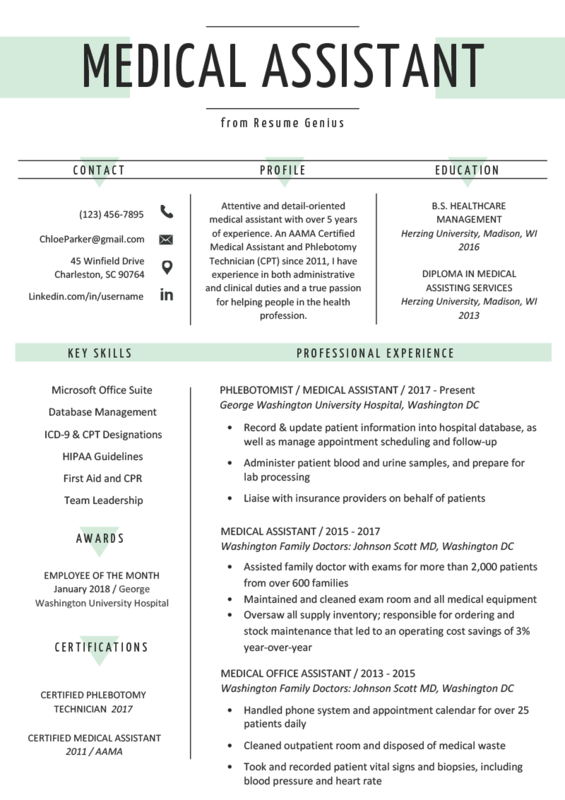 Questions or comments about creating an attention-grabbing medical assistant resume? Let us know below!